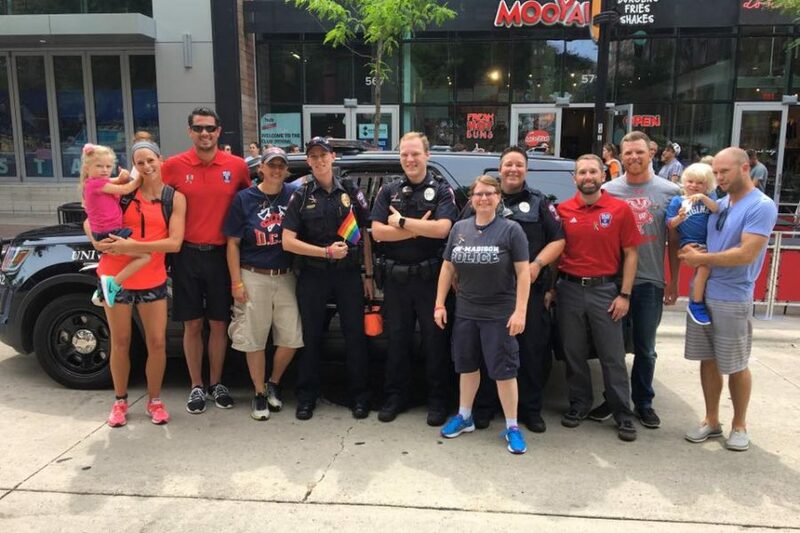 As a leader in progressive policing and community engagement, UWPD is proud to have it’s very own “Pride Team.” This is a group that helps further our department’s mission of inclusion to our expansive campus and surrounding community. The Pride team is made up of UWPD officers and employees who are members or allies of the LGBTQ+ community. The team tackles everything from internal training and support for employees, to analyzing UWPD policies through an LGBTQ+ lens, and attending community meetings. It’s our hope that this team will be at the forefront of building trust and mending relationships with our community members so we may provide for a safer, happier, and more cohesive place to live, work, and play. Use the form below to get in touch with members of the UWPD Pride Team—we welcome your questions, comments, feedback, etc. If this is a life-threatening emergency, please call 911 or the UWPD Dispatch Center at (608) 264-2677. UWPD dispatchers and officers are trained to assist ALL members of our community.